While 2017 numbers have yet to be released, Canada remains Texas’ second best international market, pushing the 500,000-mark for visitor volume in 2016, a number that is expected to increase by 11% by 2021. Key to this is access with numerous direct flights from Canada to destinations across the Lone Star State, including new for 2017 – Vancouver to Dallas Forth Worth (DFW), Toronto to San Antonio and Montreal to DFW. During a recent mini road trip to Canada, Texas tourism officials were in Toronto to update the trade on all things Texas. Speaking with Canadian Travel Press, Debra Bustos, of the Office of the Governor Economic Development & Tourism said while it’s been a bit of a challenge, thanks mostly to a weak Canadian dollar, Canada remains a very important market for the state. “And don’t forget, you get more bang for your buck in Texas,” she said. Officials noted that as one of the United States’ largest states, Texas is very diverse, offering seven regions and “something for everyone,” including a vast music scene, expansive culinary experiences, rafting, kite boarding and authentic “cowboy” experiences such as taking part on a cattle drive. Partners taking part in the road show, which also visited Vancouver, included Fredericksburg, Houston, Lubrock and San Antonio. 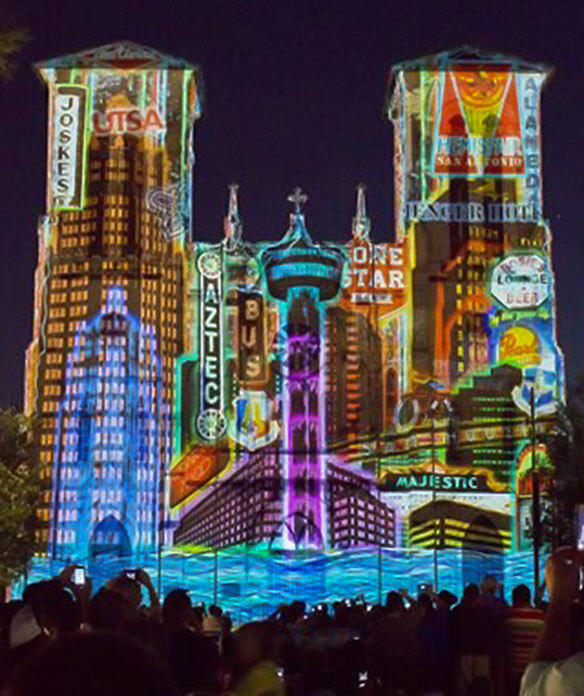 The big news for San Antonio is that it is celebrating its Tricentennial (300 years) this year with year-long special events and festivities.